Welcome to join me and my friends on the long journey throughout almost the entire Middle Earth, from Thorin's Hall to East Rohan. We will spend some hours to just ride and have fun through each area. There are some areas that we will not go through, which are Forochel, Angmar, Misty Mountains, Mirkwood and West Rohan, as well as Gondor and Mordor. We will use regular mounts of speed 62% for travelling. Along the way we will make a few stops for smaller activities, like story-telling and music. There will also be opportunities to muster people who haven't been able to join from the start. When we finally arrive in Snowbourn there will be music and dancing around the milestone. 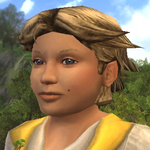 Trincia is the leader and guide for The Long Journey 2018. You can announce your participation by writing a letter in-game to Trincia or write an email to Kartis with the subject "The Long Journey". Also announce if you want to tell a short story (3-5 minutes) from your adventures. Date: Next Journey will be on Saturday, January 6, 2018. Time: Gather at 18.00 CET (12.00 server time / 17.00 GMT). We leave about 15 minutes later. Ending time is approximately 22.30 CET (16.30 server time / 21.30 GMT). 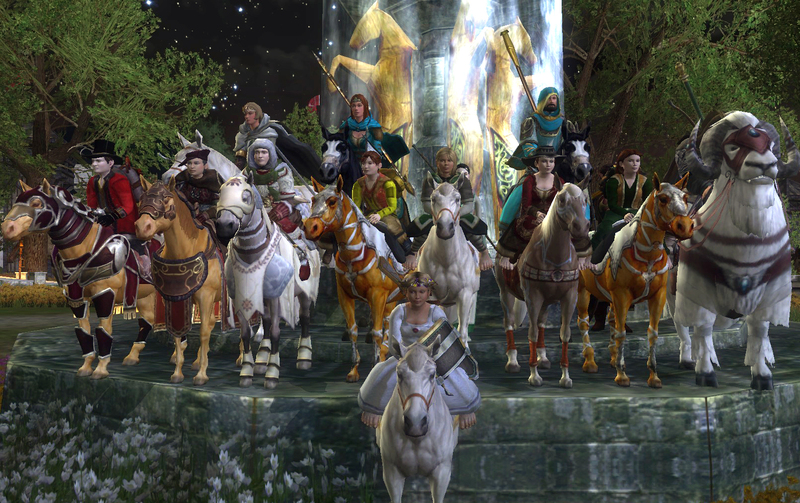 Where: Gather around Frerin's Court in Thorin's Gate. The travel ends in Snowbourn, East Rohan. Who can join? Anyone can join the travel as long as you like. However we will ride through all levels of areas, so if you want to join the entire journey your character needs to be at least lvl 75-80. At some areas we will ride through mobs, so it will be really deadly if you are not of high level enough. Bring: Food, drinks, pipe-weed, fireworks, healing potions, instruments if you play in the band, and a good story from your days in Middle Earth. 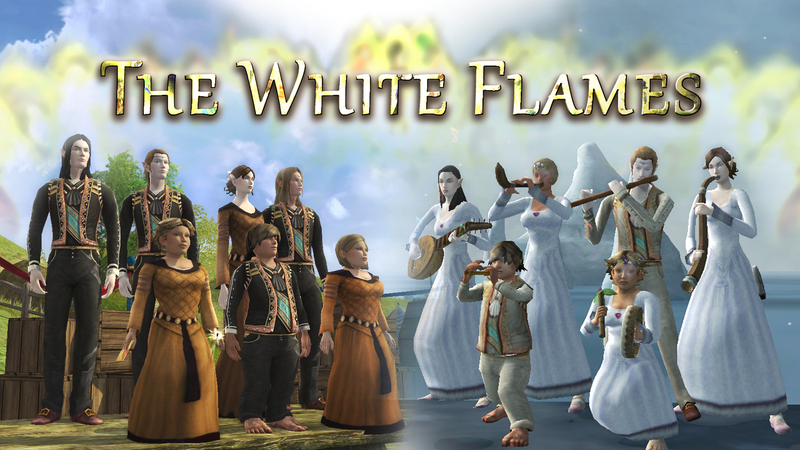 Music in Bree, 21st Hall and Snowbourn: The White Flames will play a few songs along the way and on the finish spot in Snowbourn. Kin members who want to join need to talk to Aifel at least the day before our journey, to get all files and plugins installed. 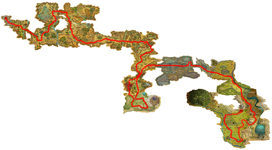 Click the image to open a map of the Long Journey in a new window. Printable pdf map (size A3). Opens in a new window. → Stop in Bree. 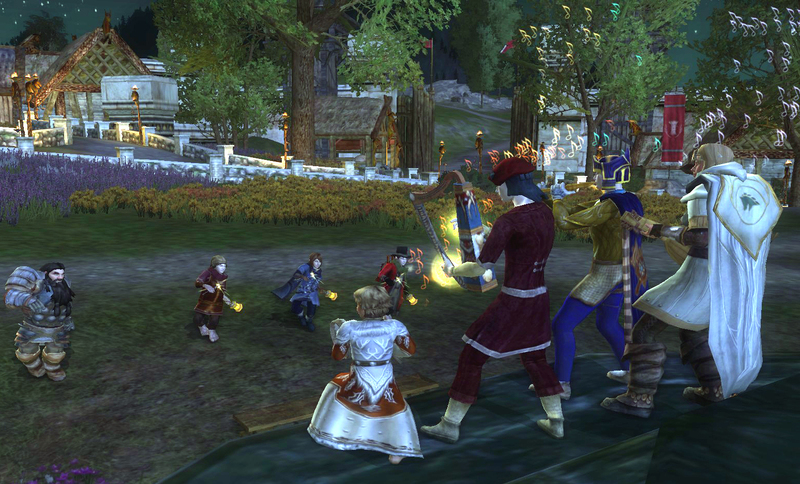 Music and dancing outside the Prancing Pony. appr. 7.45 → 5 min stop in Echad Mirobel. → Echad Idhrenfair in Gloomglens. appr. 9.00 → 15-20 min stop in 21st Hall. Music/dancing/story-telling. appr. 9.15 → Leave 21st Hall through south arch. Going towards First Hall. Party until it's time to say Goodnight!